As expected, these photos show that the next-generation iPhone will have a rear design identical to that of the current iPhone, similar to the transition from the iPhone 5 to iPhone 5S. Our images show no noticeable external changes coming from the iPhone 6 — even the Space Gray color has remained light, contrasting with the darker Space Gray Apple Watch — but it is possible that Apple’s final hardware could include additional tweaks. Good luck spotting any major external differences in size or the position of holes. Our source says that any potential difference in thickness or width on the 4.7-inch iPhone 6-sized device is too minimal to notice, but this does not (yet) rule out rumored changes to the larger, 5.5-inch iPhone 6S Plus body. 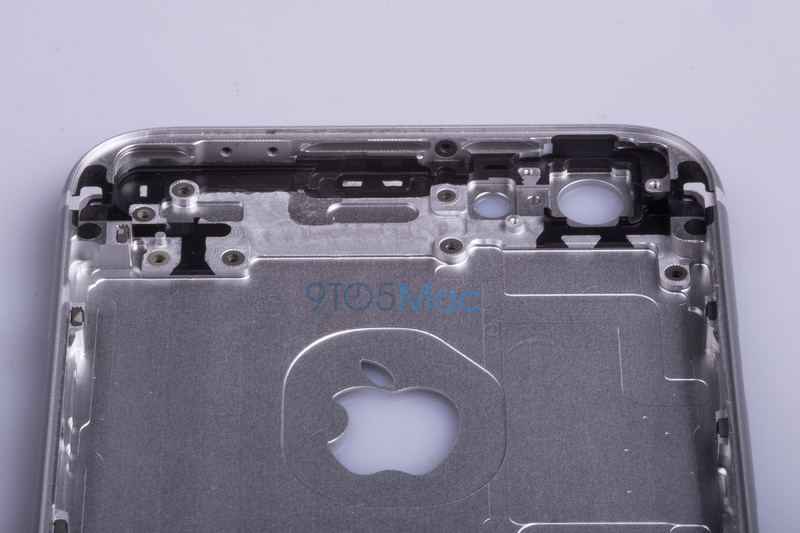 Despite the identical exterior, many small changes are evident inside the iPhone 6S frame, particularly in the mounting points for the phone’s new logic board and components. The mounting points line up with details we’ve received regarding the logic board, confirming the shell’s authenticity for a new device. Apple recently applied for a patent on a technique to hide the antenna lines on the back of an iPhone with an “anodized metal appearance.” Unless something changes from the casing here, those lines will persist through the iPhone 6S lineup. But there may be some good news regarding NFC antenna performance, a point we’ll discuss further soon. 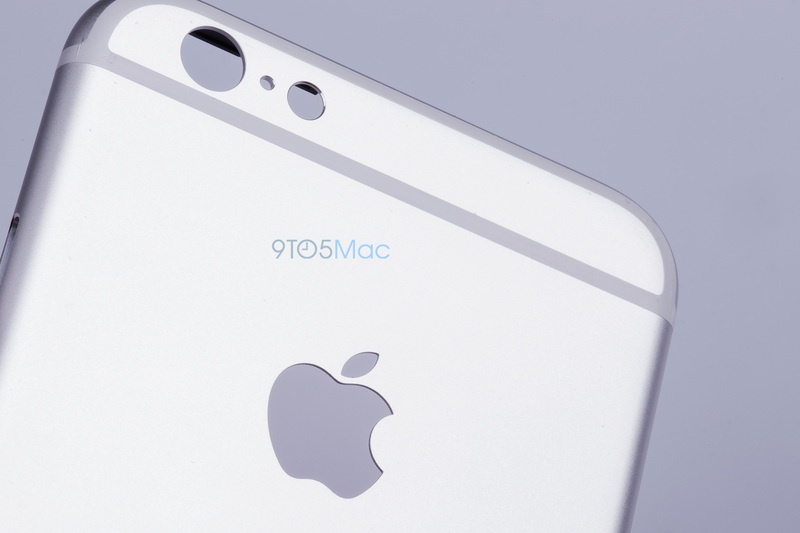 The bottom design of the iPhone 6S is exactly the same as with the prior model, down to the number of speaker holes and the position of the headphone, microphone, and Lightning holes. This will be good news for case and accessory makers, who won’t have to worry about redesigning their iPhone 6 products for the iPhone 6S. In the coming days, we’ll be publishing in-depth looks at new internal components and chips coming in the next iPhone, which will reveal new features and enhancements. So, stay tuned for those articles. 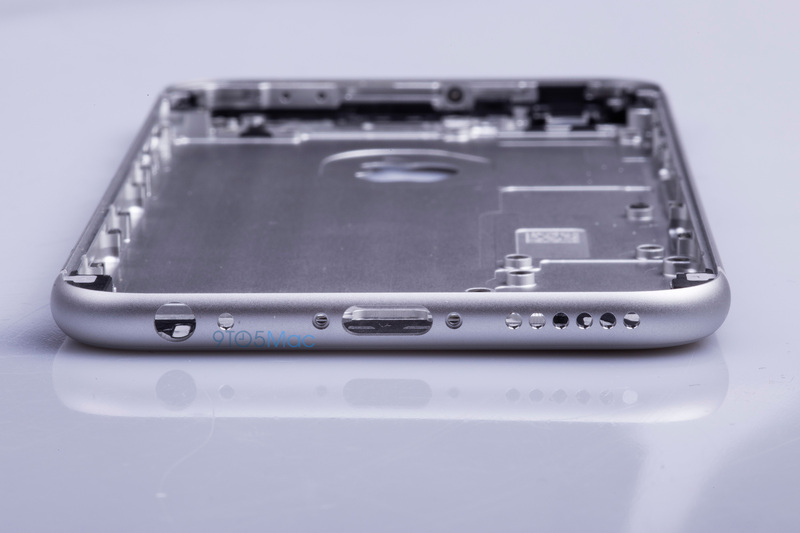 Meanwhile, below is our full image gallery of the next iPhone’s external shell.